Consistency The most common reason for blending coffee beans is create a recognized profile. Yuban coffee this year tastes the same as Yuban coffee last year even though the beans are different varieties and come from different origins. Average coffee drinkers want each cup of coffee to taste the same. We have had visitors complain because our coffee doesn’t taste like the coffee they are used to at home. Commercial blenders try to achieve the same coffee profile year after year. Dump Bad Coffee Blending bad beans with good beans is a way to get rid of poor quality coffee. A blended coffee should taste better than each of the component beans taste separately. Using good beans to hide bad beans does not create a better tasting coffee. Just like using flavoring, it only covers up a bad coffee. Create a Better Coffee Creating better coffee is the true sign of a master roaster. Blending coffee is an art. A great roaster can take two or more good beans and create an outstanding coffee. Here are some tips on creating your own personal coffee. Find a base coffee that you like. Brew it and then cup it. Rate each of the characteristics of the coffee on Aroma, Acidity, Flavor, Body, Sweetness, and Aftertaste. Determine which attributes you want to improve. Look for a second coffee that is strong in the attributes that your base coffee is weak. 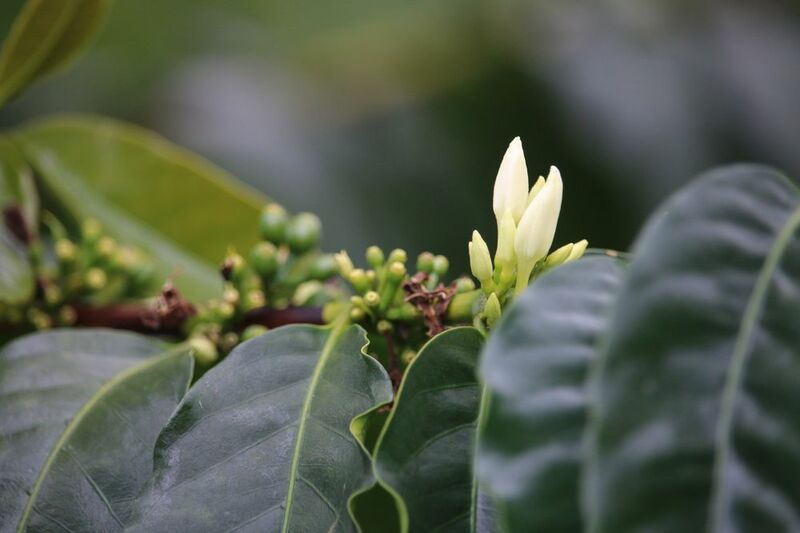 For example, if the coffee needs more acidity, then look for coffees with higher acid like Kenyas. If the coffee needs more body look for high body coffees like Sumatras or Ethiopians. If it lacks flavor look for coffees with the flavors you like e.g. citrusy coffee from Guatemala. When you find that coffee brew both coffee separately. Spoon some of the base into a cup and add a spoon of your second coffee into the cup. Taste it. Is the coffee moving in the direction you want? Add or subtract your second coffee until you get the attributes you want. Keep a chart of the number of spoons in the cup. Stay simple, don’t try mixing three or four coffees at first. Work on two coffees until you get the hang of it. Most coffee cuppers cannot detect a coffee that is less than 25% of the blend. So if you blend four or more coffees you are pushing the 25% limit. nce you get a personal blend that you like mix your roasted beans in the same proportion and enjoy. Previous Post: « Are the Coffee Beans Really Fresh II?